A cross between a red bell pepper and a hot pepper, the Mexibell brings a little from each to the table. It’s essentially a sweet pepper with a little simmer (think more poblano pepper heat than jalapeño). Its size (comparable to a bell) makes it both a terrific grilling and stuffing pepper, with a heat that’s very family-friendly. How hot is the Mexibell pepper? The Mexibell still tends to more sweet than heat, unlike the comparable Cajun Belle pepper (another bell pepper-like chili) that can actually hit jalapeño level heat. It ranges between 100 and 1,000 Scoville heat units, which is the same SHU spread as Cubanelle and Italian long hot peppers. At its peak it’s equal to a poblano chili, which really puts this mild simmer in perspective. Compared to our jalapeño reference point, the Mexibell is three to eighty times milder than a jalapeño, depending on the chilies chosen. However you frame it, this is one mild pepper. It’s very family friendly, so if you’re looking for a bell pepper with a little extra zing, the Mexibell is a very good choice. What does the Mexibell pepper look like and taste like? It’s much like a bell pepper, four to five inches large, lobed at the base. It ages typical to a red bell pepper – from green to red. The red Mexibell will have more heat as the capsaicin in the pepper (the compound which creates the spiciness) increases with time on the vine. There’s a crisp garden-fresh sweetness to the Mexibell, and the heat is more of an undertone to the flavor. 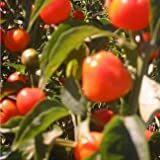 The overall experience is better with the fully mature red pepper, so, if you’re growing these peppers, it’s recommended to keep them on the vine for the full growing cycle. 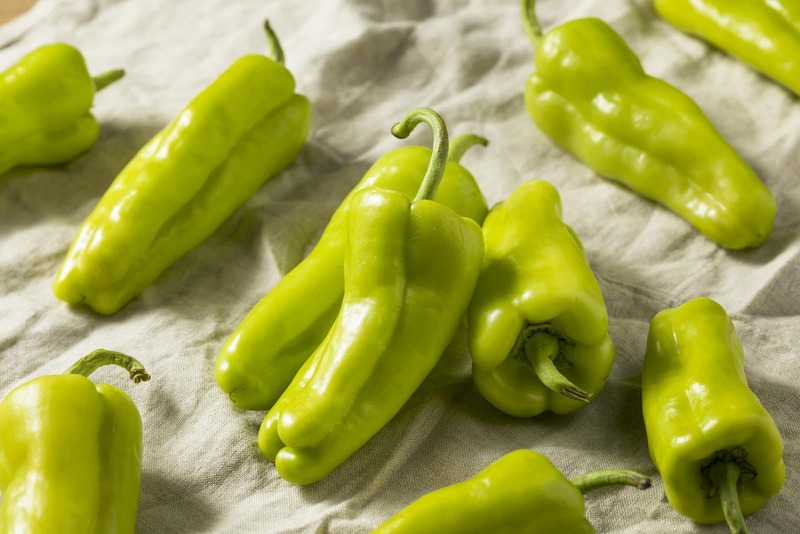 If you like the bright flavor of green peppers, you’re better off with a common bell pepper as the heat in a green Mexibell is only slightly noticeable. It’s a very versatile pepper. Anywhere you’d use a bell pepper, the Mexibell can be a more than capable alternative. Its size, reasonably thick walls, and wide cavity make them excellent stuffing peppers. They are terrific grilled as a barbecue side, added in sauces and soups, or simply chopped fresh to add into salads for a little bolder experience. As the name more than hints, the Mexibell is a terrific pepper for Mexican cuisine. The simmering heat pairs very well with tacos, enchiladas, and other Mexican meals. Where can you buy Mexibell peppers? You can find these peppers at supermarkets at times, though they are far from commonly carried. You may want to call around, or check a local farmer’s market or chili farm to see their availability. If you’re a gardener, growing Mexibell peppers is much like growing a bell (and the seeds are easy to pick up online), so consider them for your upcoming growing season. If you’re looking for a bell pepper upgrade, the Mexibell is a delicious next step – family-friendly zing and flavorful like a sweet pepper. The zing is mild, though, so don’t expect a jalapeño kick here. For that, you may want to look at the Cajun Belle. 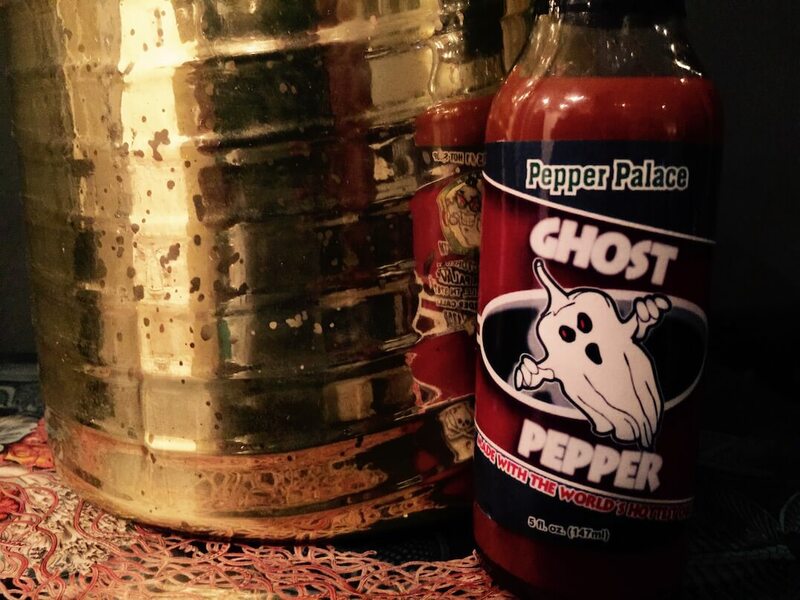 It can sometime range up to that medium heat level with a similar sweet pepper flavor.